I have a pretty good memory, but there’s games in my collection I don’t always remember. This is particularly true in collecting Atari 2600 games, especially when you can pick up whole lots of 10+ each on e-bay fairly inexpensively. Having just revived my collection, remembering all the titles I had was a bit of a mystery. So looking through e-bay I held off on getting some lots out of fear of getting games I already have. To help me through this I decided I had to catalog my collection somehow. Luckily, there’s an app for that and I want to share it with you. 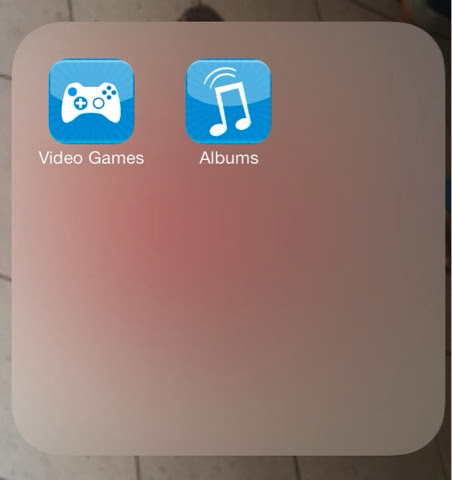 Above are two examples of apps from Sort It Apps, the simply names Video Games, and Music are two examples. Each can be found on the iTunes Store for free and allow you to track your collections of video games, music, movies, apps and other items. This is the sort screen. Here I can see all my games, on any platform. 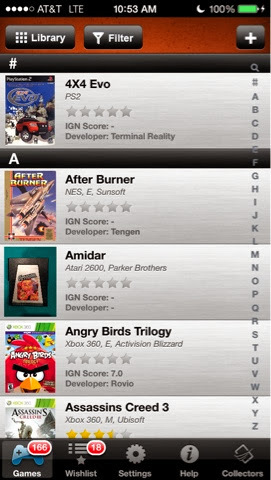 This video game app allows you to search your collection by platform too. This is the free version and allows you to search their database of games, or manually enter a UPC to find them. The full version is $5.99 and allows you to simply scan UPC’s, and edit info on titles. Both versions have an eBay tool that will list your titles on eBay for you. Also there are areas that allow you to log if you loaned games out, rate them, and list the dates you completed them. Overall, this is a really great app and worth looking into.